It’s no surprise that many healthcare consumers don’t get excited about visiting a doctor or medical facility. It isn’t so much the time spent face-to-face with the physician. It’s the experiences around the edges of the appointment – from finding the office, to parking, to dealing with busy, preoccupied staff, to time spent in the waiting room. After the appointment, many patients encounter annoyance in follow-up instructions, billing tangles, and the hassles of dealing with provider and health insurance staff to clear them up. If you’ve ever looked at health provider rating and review sites, you know that a problem with any of these elements can inspire a negative review – and hurt your online reputation. If patient engagement and conscientious online reputation management is your objective, you may be wondering what healthcare consumers want from encounters with healthcare providers. They want it to be personal. A friendly greeting, a helpful attitude and a sincere “how are you today” are essential. The patient needs to know from the behavior of staffers – at the desk, in the waiting room and in the exam room – that they are regarded as a person, and not merely the 15th patient who has walked in since opening time. They want it to be simple, seamless and efficient. 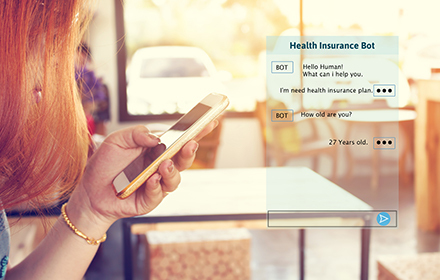 Healthcare consumers are becoming increasingly digital and are becoming accustomed to receiving timely services. Take advantage of available online tools for streamlining appointment setting, communicating test results and other tasks. They want to feel like their time is valued. Binary Fountain’s recent consumer survey finds that 48 percent of people aged 25 and above rank wait times as the most frustrating thing about visiting the doctor. A survey from Vitals® reveals that 20 percent of people have changed doctors because of wait times. If something out of the ordinary interrupts the schedule and patients will need to wait, proactively communicate this to them and provide them with options if they need to reschedule. They want transparency. Patients want details, and they want to know all their options. Most importantly, they want and deserve simple explanations of everything about their condition, their treatment choices, their follow-up, and want to know about all costs upfront. They want their information to be secure. Healthcare consumers want to trust that every detail they share with their provider will be safe and secure. They want confidence that you have firm control over who has access to their most personal information. As we know, current online reviews are a very important component of research for your potential future patients. Assess your online reviews and comments. Are any of these concerns showing up as trouble spots? If so, you should take steps to identify and correct the issues that trigger frustration for current patients, and begin earning positive reviews.